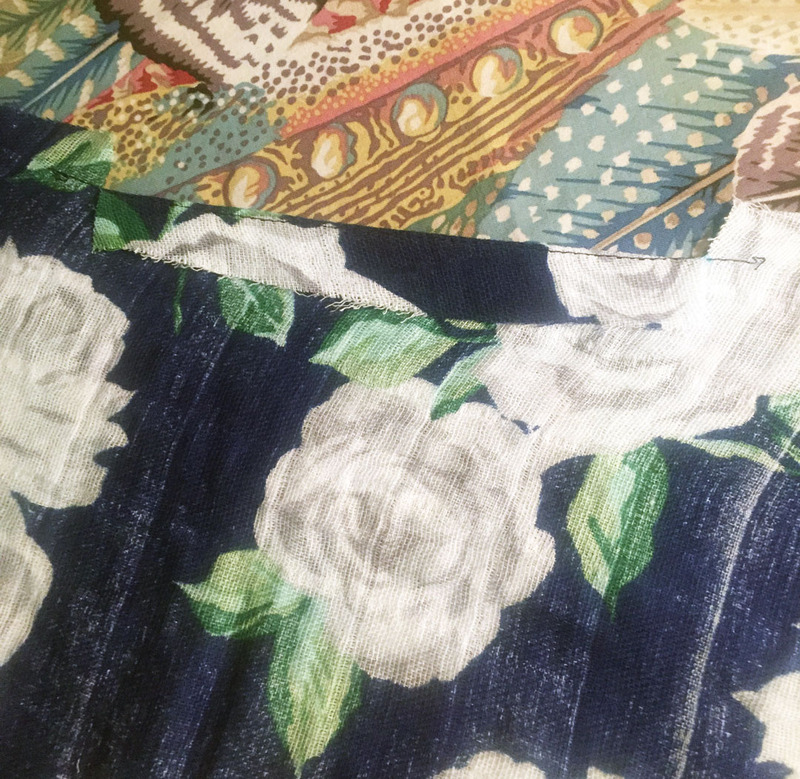 As I was cruising Instagram one night I made a sudden, full stop at a picture of the absolutely gorgeous Rose Garden Embrace® Double Gauze Ellen from Shannon Fabrics posted. My eyes met the roses, my sewing heart crushed and beat loudly and it was true, embraceable love at first sight. Such a stunning fabric!! Ellen had the Pink version of the roses and offered to send me some to sew up. (Have I told you how much I love my sewing industry friends!?!) She wisely suggested the Cobalt version for me, I suggested we stage a twinning event at Quilt Market and the FUN had begun! Ellen used Elaine Heigl’s Simplicity 8603 for her Pink Rose Garden Embrace™ Tunic along with, as she said, “luscious, soft knit bias tape from Vintage Door”. I love that trim!! And, it’s on my “must have” list now. You can check it out on the Vintage Door Etsy Shop! The Cobalt Rose Garden Embrace arrived on my door step about a week later and it was even more gorgeous out of the box than online! But, what to make? There were so many possibilities. Dress? Skirt? Jacket? Blouse? 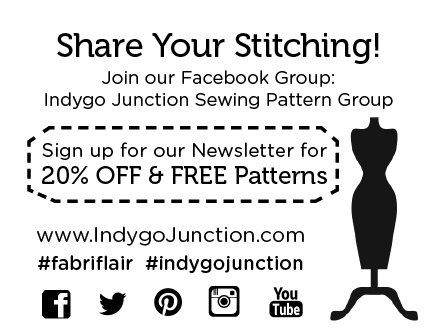 I settled on one of my fave patterns – the Indygo Junction Urban Tunic. Last year I stitched up an Urban Tunic in Double Gauze and declared it The Perfect Tunic. It ticks all the boxes for an easy-always-looks-great project, so I decided to go for certain success. A halo appeared in this picture taken by Rhonda from Schmetz Needles. With Amy Barickman of Indygo Junction. Twinning with Ellen of Shannon Fabrics. And, I’m thrilled with how it turned out! 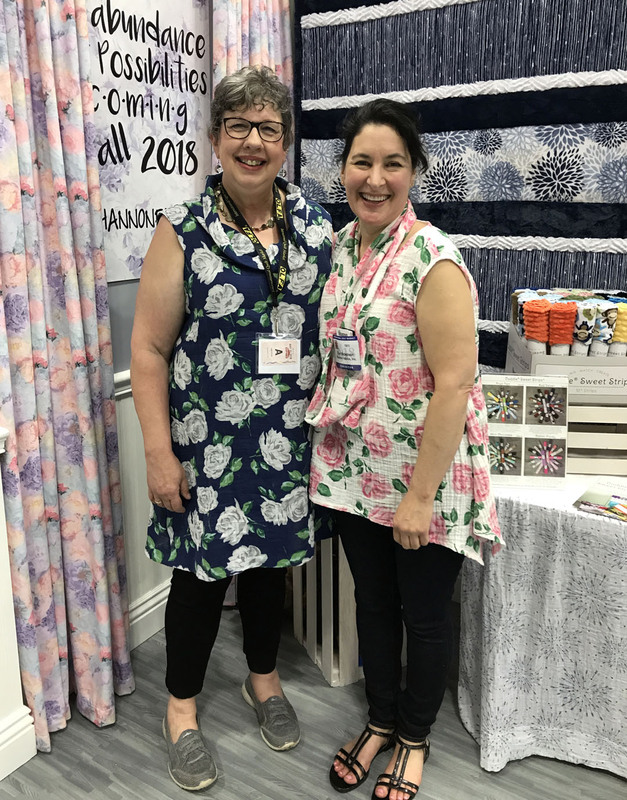 It was perfect for a day at Quilt Market and functioned quite well when I met Sew News Magazine Editor-in-Chief, Ellen March. My tunic was thrilled to have a chance to pose with Indygo Junction owner/founder, Amy Barickman. And, it performed SO well for my twinning event with Ellen at the Shannon Fabrics booth. 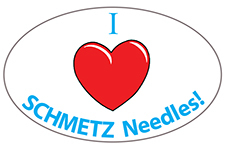 Best of all, it cast a halo over my head in the picture taken by Rhonda from Schmetz Needles. You just can’t ask for more than that! I really want you to try this pattern! It’s one of those that always gets compliments, is always comfortable and as mentioned, it’s always easy to make. So, let’s take a look at a few details . . .
As I keep saying, the Urban Tunic is super-easy to cut out and put together. One front, one back, two pockets, two armhole facings and the cowl piece – that’s it. And, the way the pocket is done is really, really cool! Now that’s it’s been a year, I can confess that I totally messed up the pockets on my first Urban Tunic. Because . . . I skipped the instructions and thought I knew what I was doing. Let me save you from that! Follow the instructions. They know what they’re talking about and they are your friends. This will help. . . The back of the pocket is the piece you will cut. (I serged around mine to finish the edge.) 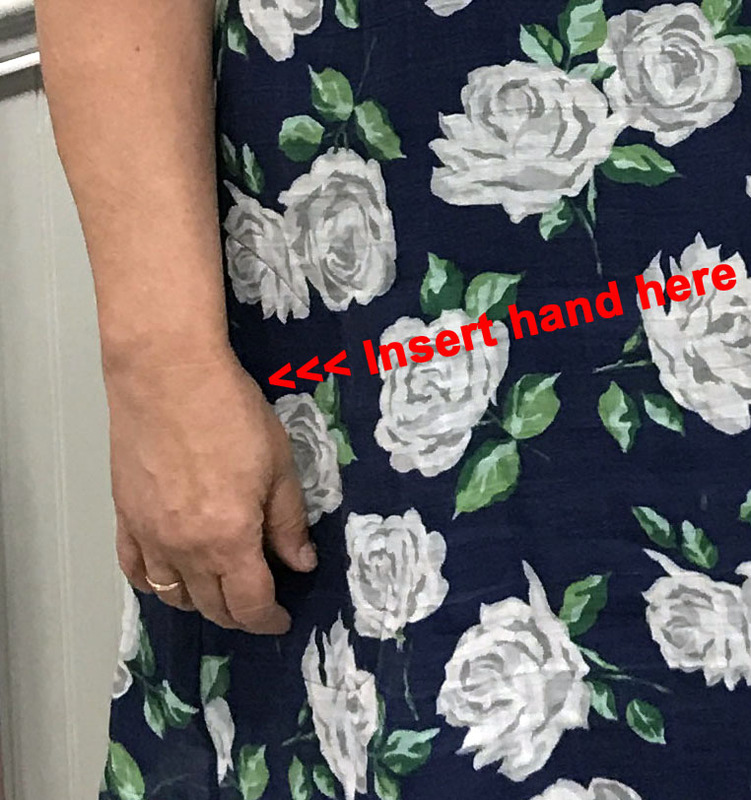 The front of the pocket is the front of the dress. Mark the side seams accurately with the dots on the pattern pieces. This leaves the opening for your pocket. Notch, fold and press the side seam pocket opening carefully. Stitch the side seams to the pocket markings carefully! True Confession: Mine are stitched too far down and will need to be undone. If I ever gain weight in my hands, they won’t fit in my pockets anymore. And, if I stash money or chocolate in there – lack of access would be tragic! There’s nothing else tricky about the Urban Tunic, but here are a few more notes. I increased the width at the side seams a bit more than my previous tunic, but now it seems like too much. Another re-adjustment I’d like to make. What do you think? I added extra length so it would be dress length. It hasn’t been quite warm enough in the Pacific Northwest and I haven’t tried it as a dress yet, but I think I’m going to love it. The instructions call for sewing on one layer of the cowl, then folding it down and hand stitching the second layer to the inside. That didn’t appeal to me, so I folded the cowl WST and stitched both layers on together. Embrace® Double Gauze has just enough stretch to it that I was able to leave the back zipper out. Enter The Rose Garden Giveaway! 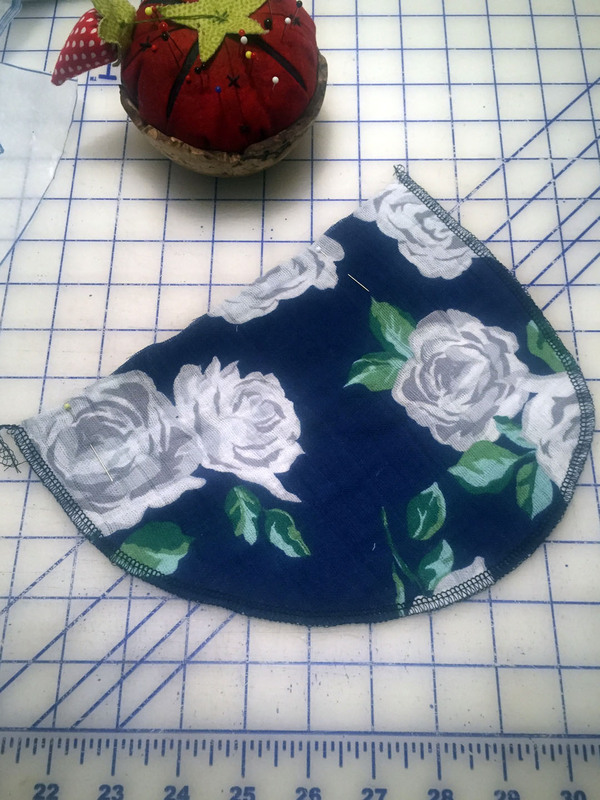 So, the twinning was really fun, Shannon Fabrics is wonderfully generous and I have 3 yards of Rose Garden Embrace® Double Gauze in Cobalt to share with you!!!! You, Ellen and I can triplet someday! Comment on this post and let me know what you’d make if you win. Enter before Midnight Pacific Time on Friday, July 13th. The winner will be announced on Saturday, July 14th. That’s it! Easy. Peasy, Schmeasy – right?! Ready, set, go and I hope you win!! Thanks for hanging out for a while in my Sewful Life. Keep sewing with joy and I’ll see you soon! Moment of Further Truth: The Rose Garden Embrace® Double Gauze was provided to me by Shannon Fabrics. 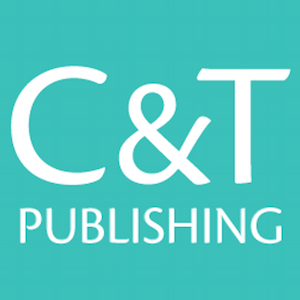 This post includes affiliate links and I may receive a small payment if you make a purchase using those links. 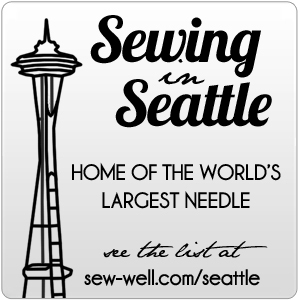 Thank you if you do – it helps to keep The Sewful Life stitching along and I sincerely appreciate your support. All opinions are solely and truly mine and I only gush about things I love! I’ve been looking for some double gauze that wasn’t juvenile! This is a beautiful print! I’d love to make a sundress with this fabric. But seeing your pattern, which has been on my radar also (along with the school house tunic), I’d might be twinning you! 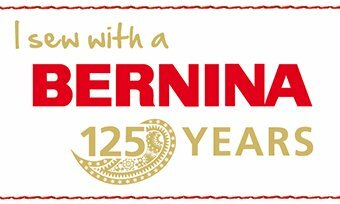 Thanks for the opportunity to enter! Either one sounds great, Susan! I love the selection of non-juvenile prints that Shannon Fabrics makes. So many temptations!! I’d love to make a sleeveless tunic from this. Looks very comfy! Double gauze is awesome for summer heat. And what a cute top you made! I’m a beginner and working on a muslin version of a simple tunic top with 3/4 sleeve. Would love to try the real thing in double gauze! It’s a great pattern and the Double Gauze is wonderful. Hope you win, Theresa!! I would probably make the tunic – I love it and already have several made out of different materials. I love that color on you and think it looks very flattering…. I would love to win this fabric. I would either make the same Tunic or the Easy Top. I’ve seen many of them posted in daouble gauze and they look so nice. But I love the neckline on yours!! Thank you for the opportunity. Love the rose print. It looks so comfortable. It is wonderfully comfy, Kim. You would love Double Gauze!! Gorgeous fabric! I would probably make a sundress, maybe the Blank Slate Leralynn, the Sinclair Karma, or even one of the layers in the Sew Liberated Metamorphic Dress! Oh my … how to make up my mind … I think I’d want more than a tunic – especially with 3 yards to work with! It would be gorgeous as a long easy fitting summer dress. The Everyday Tank lengthened to mid-calf could work. New Look’s 6565 or 6511. It should ‘float’. That’s an easy answer for me. I would make this Tunic! I love the neckline and have been eyeing this pattern for a while now! 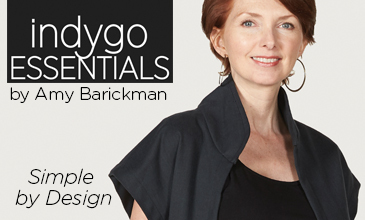 Perfect for the Indygo Junction Contemporary Kimono! Or maybe the Everyday Tank . I haven’t used double gauze before but it looks interesting and I love the color and would like to try the tunic! Yes, yes – it’s a wonderful “roll guard”!! 🙂 Hope you win, Joanne! I have been wanting to try sewing something with a double gauze. LOVE the print and the pattern. That double qauze in rose print (in either color) is sumptuous! Worked up as Indygo Junction’s Urban Tunic is just perfect for warm summer days. I’ve been wanting to try out both the double gauze and the Urban Tunic, so why not combine them as you did, and sew up a perfectly breezy outfit to finish out my favorite season. I think a maxi version would be great in this pattern. Love that idea, Sandy!! A maxi would be lovely in the rose print. Hope you win! Congratulations on your accomplishment, Margaret!! Bravo! Sounds like you’re having great fun with your summer sewing and staying cool in the heat. Hope you win so you can sew even more! I really like your tunic. I have had that pattern on my sewing list for some time. Now i definitely need to make one. Hi there – I came across your blog post by happenstance and enjoyed reading it top to bottom. I am a quilter but have been itching to sew for ME! I would love to make the Urban Tunic as it looks so comfy!! Thank you! Love the drape and flow of the fabric as it is in your tunic! I have a rather “lumpy” figure from an accident and I’m trying to make clothing that accommodates my new figure. That tunic looks like it would be a fabulous pattern to add to my collection. It covers my lumps quite nicely, Candy – I think you’d love it!! 🙂 Hope you win! Well Annette I think you just made the case for me to try my new Urban Tunic pattern in double gauze! So that is exactly what I would do with it if I would win! That pattern has been calling my name since it arrived and this sounds perfect! Where have I been? This is a new-to-me fabric and I’d love to try it. Hmmm. Three yards should be enough for me with another for a granddaughter. I love the fabric. I just got the tunic pattern but haven’t made it yet. So, perfect combination! What beautiful fabrics! I would love to make a sundress or tunic for myself or a romper for my daughter. She would LOVE the pink roses! Love those ideas, Michelle! It’s 54″ wide, so you might have enough for both of you. 🙂 Hope you win! What a great giveaway! I’d make the Urban Tunic too. Can’t beat a sleeveless tunic with pockets in double gauze. Perfect! I’d make a kimono for myself and, with the scraps, some bits and pieces for my soon-to-arrive granddaughter. Things like blankets, washcloths and the like depending on how much there is. Oh I’ve been looking for beautiful double gauze to make myself a cool and comfortable summer tunic. Anything I can find here is in a baby print. And I know Shannon Fabrics will be of the upmost quality. I’d be so excited to win some!! This one is definitely gorgeous and perfect for summer. Hope you win, Sharyn!! I love your choice of pattern. I have a kimono pattern that I would use with the beautiful double gauze fabric. I like to keep me arms covered in the sun. Thanks, Lynda! I love the kimono idea. Hope you win!! oh my, such lovely fabric. I would likewise make a tunic but possible with a flair to feel the breeze !! Sounds terrific, Kathleen!! Hope you win! I’d make Simplicity 8603 as I can see it works great with this pattern. I got the pattern out the other day and thought I need to make this up. And, this double gauze would be perfect! Its lovely fabric. Hi Diane! Wonderful plan. Then you could twin with Ellen, too!! 🙂 Hope you win! really gorgeous dress, must be so comfy to wear. I’m now sewing a jacket with this kind of pocket and I’m going to follow the instructions closely! This double gauze is sophisticated enough for a kimono jacket! I can’t wait to make my summer strap top with my 3 yards.. Annette. It will be perfect. And just awesome for my Birthday on July 15th. Wish me luck Annette. The urban tunic is at the top of my “to make” list, so if I win the giveaway that is what I will be making with the fabulous double gauze! I was so excited to see double gauze in a “grown up” print! I would definitely make a summer, sleeveless tunic for our hot Arizona days. Beautiful fabric.